Why you should jump on this woman-founded, science-based fitness trend. 1. This is more of a community experience than a gym. It's called "Orangetheory Nation" for a reason. You sign up for an hour-long session where an instructor guides you and everyone else through the workout. But not only is your gym doing this workout, every Orangetheory location is doing the exact same one. I don't know about you, but every time I set foot in a gym, I'm looking around the room, wondering what everyone is doing and if they're wondering what the heck I'm doing. But that doesn't exist at Orangetheory. Everyone just became your gym buddy. There's even a Reddit thread dedicated to it! 2. The workouts get results! Ellen Latham is a physiologist, which means she knows what she's talking about when it comes to high-intensity interval training (HIIT). HIIT is known for its calorie-burning benefits and exceptional muscle strengthening. As you increase your heart rate in intense bursts, your body requires more oxygen, forcing it to overcompensate post-workout. The result: you burn calories even after the workout ends. Click here for some HIIT workouts designed for beginners -- no gym necessary! 3. It's tailored to you. The key to HIIT and what's special about Orangetheory is the focus on the heart rate. In order to achieve the desired results, you have to give your all to your intense interval, which is why everyone at Orangetheory is given a heart rate monitor at the start of a workout. The monitor clues you in on how hard you're working and how much more you can give as you work out. But your target heart rate depends entirely on you and your goals -- phew! This is honestly what I find the most exciting about Orangetheory. I have a hard time not feeling self-conscious at the gym -- whether it's the climbing gym, the weight room, the yoga studio, or the pool. It can be intimidating to struggle over the two-pound weights as the person next to you lifts the 50-pound dumbbells like they're pillows. But your heart rate is your own and can't be compared to the bodybuilder next to you. At Orangetheory, everyone is ugly-sweating. 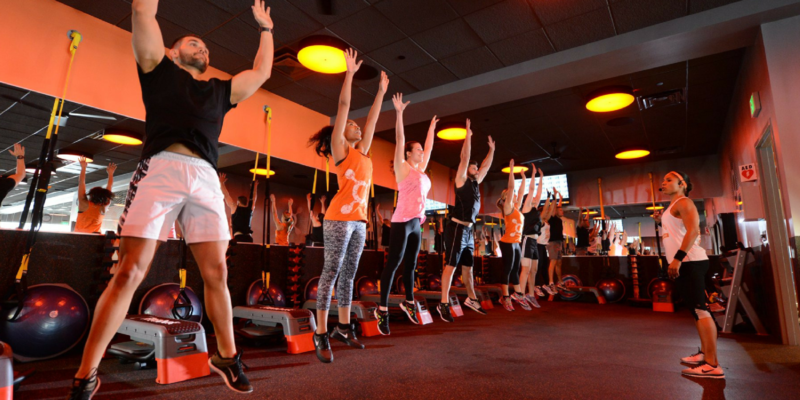 Orangetheory Annapolis is currently offering "Founding Member" rates, so now's the time to jump on your membership. 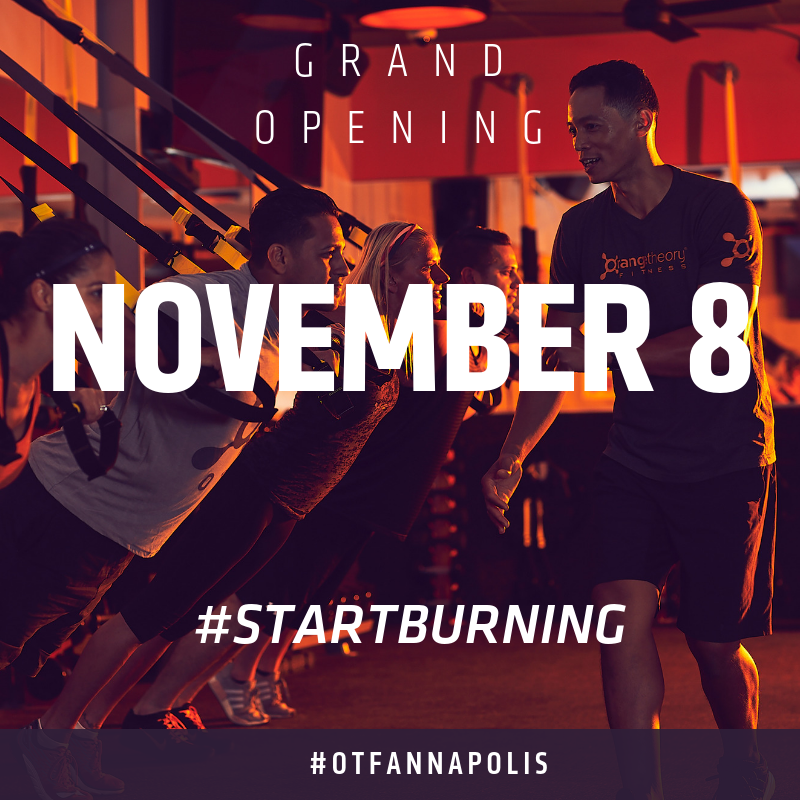 In the meantime, workouts are free at this location until their official opening. Still not sold on going to the gym? No worries. HIIT can be done anywhere: at home, in a secluded forest meadow, or on an abandoned island. What gets you excited to workout? Share in the comments below. Until next time! Caitlin tells us about her first postpartum race experience in last week's Run-Around! Read it here.